It goes without saying that links are essential for affiliate marketers. You use them on your website, your social media profiles, and in your email campaigns. If you’re not tracking them properly you risk losing leads, and more importantly, profits. Tracking your links’ performance can help you figure out their most optimal placement on your site. When optimized correctly, tracking can increase your conversion rates and lead to improved sales. In this post, we’ll introduce you to link tracking. Then we’ll discuss how it can help you increase conversions, and how using Pretty Links’ built-in tracking feature can help. Let’s get started! Enables you to keep track of clicks from your audience. Helps you to track links across different campaigns. Lends itself to further improving your linking strategy. That’s just the beginning. One of the main benefits of link tracking is increased conversions. This is the one that should matter most to affiliate marketers, and fortunately, there are plenty of ways to track your links within WordPress. Given that link tracking is beneficial for many site owners, learning how to use the tactic to increase conversions is paramount. Let’s take a look at three different ways it can help, along with how to do so! A dedicated report can give you insight into user behaviors. User engagement is a gauge of how visitors interact with your website. The more your users act on your links, the more likely they are to make a purchase. In other words, the more visitors you earn, the higher their odds of converting. 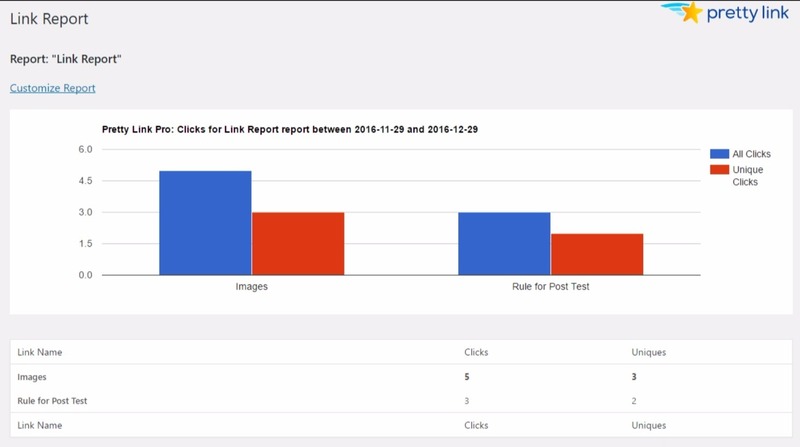 After giving your links some time to pick up data, you can create and view your reports. With this information, you can gain an understanding of user engagement and tweak as you see fit. For example, if you see that your image link is performing better than the text version, you could potentially incorporate more image-based links into your website for better results. 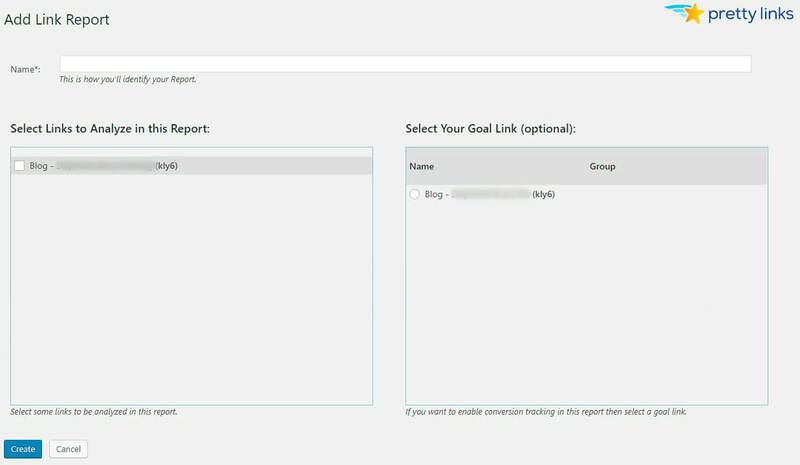 Reports can show user actions, and help you to improve future linking efforts. The interactions you have with customers can determine their next steps. By personalizing these engagements, you can create relationships with your leads. This improves trust and makes a sale much more likely. Tracking clicks enables you to personalize future interactions with your current customers. You can then apply this personalization to new customers who fit in the same target audience. If both pages have a high conversion rate, you’ll know this is a popular user path. You can then use these higher-converting links within your customer interactions, and make suggestions based on them. 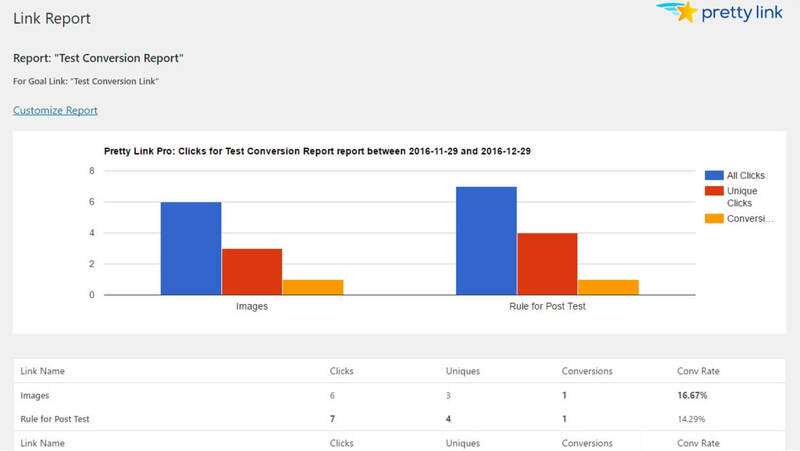 A split test can help you to identify your highest-converting link placements. Since where links are placed will determine how often users interact with them, you’ll often need to know which placements work best. Split testing is a technique used by marketers to determine best business practices. By using it to compare your links’ performance, you can ensure the most optimal placement (among other elements) for future use. You can add different Target URL Rotations (and their weights), and by clicking the box next to Split Test you can choose the goal link you’d like to compare it to (as in the last method). Once you’ve had time to test both pages, you can view the report by returning to the Pretty Links page and selecting the Split Test Report option under your link. This will tell you which one has a better conversion, enabling you to learn which link placement is better. The improper use of your website’s links can lead to major consequences, such as a loss of profit. Fortunately, link tracking can provide you with the insight you need to readjust your strategy and help you increase conversions. Understand user behavior to boost engagement with your links. Track user actions to personalize future interactions. Use split testing to determine the best placement for your links.